What is your favorite vegetable? This 8" x 8" fine art giclee print was made from an original ink and colored pencil drawing. It would look great in your kitchen! 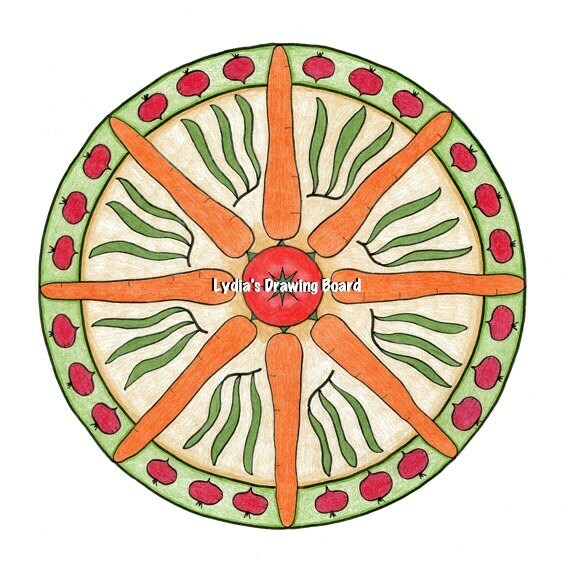 The drawing contains carrots, green beans, beets, and a tomato.